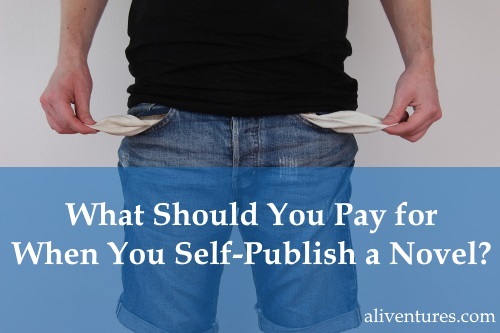 What Should You Pay for When You Self-Publish a Novel? If you’re going to self-publish, you should definitely use an editor. 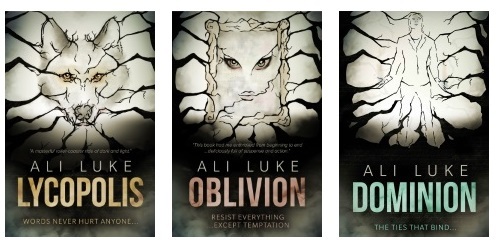 If you’re going to self-publish, you should definitely use a cover designer. Let’s dig a little deeper into that, though. Before you make any decision about what to pay, it’s important to think about what you want to achieve with your novel. 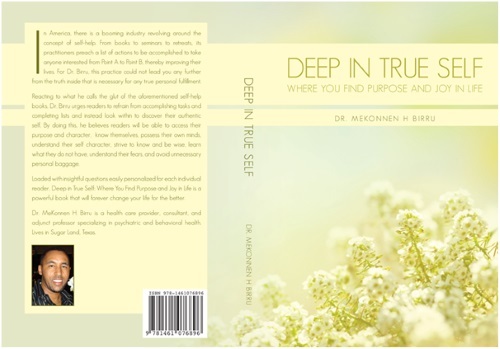 Having a book in your hands with your name on the cover. Being able to give your book to friends and family. Getting your work in front of readers. Making money from your novel. If you’d be happy to simply print a dozen copies of your novel to give to friends and family, then paying for editing or cover design is probably overkill. If, however, you want this novel to be the start of a career in writing – if you want to make a living doing this – then you will likely need to pay for both editing and cover design. One quick thing to say here: even if your goal is to sell tens of thousands of copies, you’re very unlikely to get a cover designer or editor to agree to work for a percentage of your profits. (The exception here is if you’re already successfully self-published and have a track record.) You’ll need to pay them a flat fee up front. I wouldn’t recommend handing your very first draft to an editor: you’ll likely end up spending more money than you need to. Instead, aim to fully revise that draft to make it as good as you reasonably can before sending it for an edit. You might well also want to work with a workshop group or beta readers before approaching an editor, even once you have a good working draft. Writing workshop group – this will probably be a local, offline group that meets to share and discuss work-in-progress. I’ve found this very useful for developing individual scenes or for getting a spotlight on trickier bits of my novels: it’s not likely to be a quick way to get a whole manuscript critiqued, however. Beta readers – you can find beta readers online (try asking around in writing forums or groups you belong to) or you could approach friends of yours who might be willing to help. Normally, you won’t need to pay beta readers – either because they’re very kind people or because you’re reciprocating by reading their manuscript too. If you want to take a look at the likely timescales for the writing, rewriting and feedback process, check out my post Your Two-Year Plan for Writing, Editing and Publishing Your Novel (However Busy You Are). Once you’ve done the best you can with your novel, with the help of feedback from fellow workshop members or from beta readers, it’s time to get an editor and cover designer involved. Understandably enough, when you’re self-publishing, you’re probably not too keen on handing over a sizeable chunk of cash to someone to edit your manuscript. You might wonder whether you really need an editor at all. They’re a professional. Maybe they’re a novelist, maybe they’ve been teaching writing for years, maybe they’ve edited dozens or hundreds of manuscripts, maybe they have a background in the publishing industry … whatever their exact background, they’ll have specialised knowledge that you probably lack. They’ll catch mistakes that will annoy readers. Trust me, there will be mistakes and your readers will notice them. You don’t want to scupper your chances of success by getting a string of one and two star reviews from frustrated readers. You’d have an editor if you were traditionally publishing. 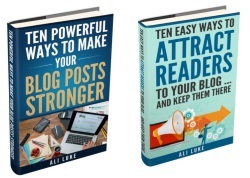 As a self-publisher, you want to put out the best possible product you can. That means, where relevant, going through the same sorts of processes that traditional publishers would use. If you’re stuck or have that horrible sense that there’s a problem you just can’t pinpoint, an editor may well be able to help. They can see your novel more objectively than you – and they’ll have the benefit of lots of editing experience. The length of your manuscript (obviously, you’re going to pay more for a 150,000 word novel than a 70,000 word novel). The type of editing you want (developmental “big picture” editing, line editing, or both). The state your manuscript is in (editors will charge less for a manuscript that’s basically in good shape; more if they’re going to need to correct grammar and typos on every line). You might find editing for as cheap as $500 for an 80,000 word manuscript; at a fairly standard 2 cents per word, you’ll be looking at $1,600 – and you may well see quotes as high as $5,000 – $6,000. Our lowest option is “The Quick Kill” at 2cents per word, which is a rough industry average (assuming a standard page is 250 words, that comes out to $5/page or $20 per 1000 words). 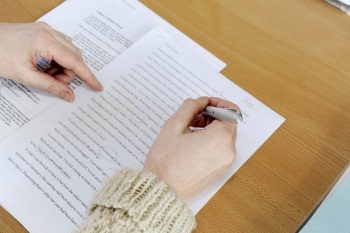 The substantive edit is the signature editing service of A Novel Edit. This full edit includes corrections for spelling, grammar, and punctuation as well as style suggestions. I offer ideas for technical, structure, and story issues. Probably the best way to find an affordable editor is to ask around. Find out who other writer friends are using, or get involved in self-publishing forums or groups – such as KBoards, or the Alliance of Independent Authors. Look out for editors who have blogs about writing (or editing) – this will often give you a sense of their expertise and of whether you’d enjoy working with them. Let’s face it – $1,600 or even $500 is a hefty chunk of cash for most writers. If a full-length novel edit is out of reach for you, don’t tell yourself that you’ll publish the book anyway, wait until you’ve racked up $1,000 or so in royalties, then pay for an edit. That’s not going to work! Step #1: Do as much as you can to self-edit your manuscript. You might want to try one or more of these tools to help, reviewed by Amanda Shofner on The Write Life: From Grammarly to WordRake: A Review of 6 Automatic Editing Tools. Step #2: Go through two (or more) rounds of beta-reading: i.e. send your manuscript to a few beta-readers, make changes based on their feedback, then send it to more beta readers and make more changes. Step #3: Rope in a couple of friends to proofread the finished novel. Even if there are still some issues with characterisation, or poorly paced scenes, simply fixing typos will vastly improve readers’ experience of your book. If you’ve got some money available but not enough for a full edit, you might want to pay to get the first three chapters of your novel edited. These are the most important (if your reader makes it three chapters in, they’re probably going to be a little more forgiving of clunky sentences and other minor flaws) … plus you can learn from anything your editor flags up, and apply it to the rest of your manuscript. As we move on to cover design, I’ve got good news: this is going to be a fair bit cheaper! Most writers are not talented designers or artists. I’m certainly not: I don’t have the visual design ability or the technical skills to create anything approaching a competent book cover (and I’ll probably waste hours of good writing time in trying to). Cover design is incredibly important. While a poorly edited book might disappoint readers and lead to bad reviews, a poor cover means you won’t get those readers in the first place. If your cover screams “amateur”, it will sink your book instantly. This can be tough to accept – particularly if you’ve spent a lot of time creating a cover that you like the look of. Unfortunately, unless you’re an experienced cover designer, your DIY cover isn’t likely to work well in a professional marketplace. Which would you be more likely to pick up? Like it or not, readers will judge a book by its cover. They’re often right to: a shoddy cover design probably means the author hasn’t invested in editing either (given that cover design is cheaper!) and the book probably won’t be a brilliant read. 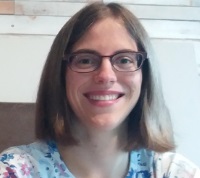 Like me, you might have a friend who’s willing to step in and help – potentially for free, or in return for some writing/editing help from you. Chances are, though, that you’ll need to pay for cover design. Note: I’m sure this goes without saying, but you do need a cover, even if you’re only publishing in e-book format! You can’t upload your ebook without one. How Much Do Cover Designers Charge? Your potential cost for a cover will vary wildly. You’re looking at anything from about $100 (new or student designers looking to build a portfolio) up to $3000 or so (highly experienced designers with lots of book covers to their name). Realistically, you’ll probably want to budget $200 – $300 for an ebook-only cover. 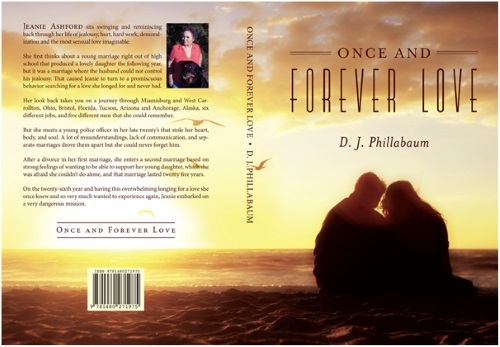 Should You Use the Cover Design Service Provided by CreateSpace or Lulu? If you’re self-publishing a print version of your book, as well as an ebook, you may well have noticed that many print-on-demand companies offer design services. These aren’t particularly cheap. CreateSpace (Amazon’s print-on-demand wing) charges $399 and Lulu (the first big print-on-demand publisher) charges $599. I’ve always been instinctively sceptical of these, assuming that they’d be overpriced cookie-cutter designs without any particular flair. For this post, though, I figured I should actually take a look at some! I have to say, I’m underwhelmed. I’d expect them to choose their best covers as examples, and I didn’t feel there was anything special about these. They have a rather “template” look to me, and to be honest, you could probably get something pretty similar at a much lower rate elsewhere. This looks pretty good to me, but if I was spending $599 on a cover, I’d definitely want to see some more – and larger! – samples. For some great thoughts about CreateSpace’s cover design prices and about the cost of book cover design in general, check out What happened to Createspace’s book cover design prices? (How much does book cover design cost? ), Derek Murphy, CreativeIndie. With independent designers, you’re likely to be paying somewhere around $100 – $500, though some charge as much as several thousand dollars. Ask to look at lots of sample covers by any designer (make sure these are representative of what you’ll get at a given price point). If you just want an ebook cover, it’ll be cheaper than a print cover that includes the spine and back cover as well as the front. Ask writer friends who they’re using (and what their designer charges). Take a look at the designs that Joel Friedlander praises in his monthly e-Book Cover Design Awards. The designer’s name will be given, plus often a link to their website. 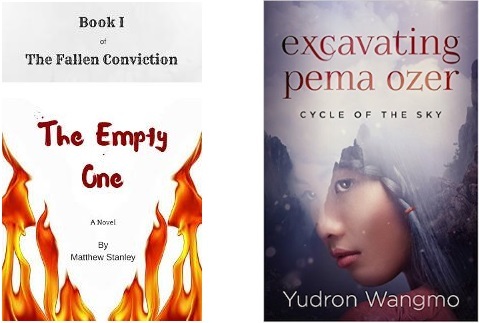 Read the acknowledgements of self-published novels with great covers; see if they mention the cover designer. Note: Don’t expect your cover designer to read your novel. Normally, you’ll need to provide a quick overview of the story / key elements. What if You Can’t Afford a Cover Designer? This is an easier situation than not being able to afford an editor. You can get cover design very cheaply – and while a cheap cover won’t ever be comparable to a professional-level one, it’s still likely to be better than anything you could do yourself. Fiverr – get a book cover for the price of a cup of coffee. I thought that the quality would be abysmal, but I’ve actually been pleasantly surprised! 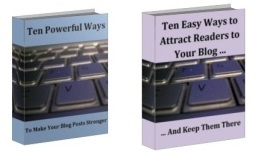 To try it out, I used Fiverr for two of my free mini-ebook’s covers. On the right, you can see the original version. I created these in Microsoft Word about five years ago, then turned them into 3-D covers. It probably took me an hour or so on each one: not a huge amount of time, but time I could have happily spent writing! And here are the new covers, from Fiverr. Given the price and the speedy delivery (it took about four days), I was very happy with these! They look far more professional and attractive, and it took me all of five minutes or so to order them. With novel covers, you might not get such good results – but if it’s Fiverr or do-it-yourself, go with Fiverr. Designer Elaynamae, for instance, offers novel covers. Can You Self-Publish Without Spending Anything? Like it or not, if you’re going to self-publish a professional-looking book, you’re going to have to spend some money along the way. This isn’t necessarily limited to editing and cover design, though they’re the essentials – and likely the biggest areas of spending. Someone to format your manuscript correctly for Amazon (and potentially other ebook stores). I do this myself, and it’s not particularly hard – but if you find the technology side of things a bit daunting, you might well prefer to pay someone to handle it for you. Expect to pay somewhere around $50 – $100 for this. Marketing and/or PR help. Again, I do this myself (and to be honest, even if you pay someone to help, you’ll probably need to put in a fair amount of time yourself too). 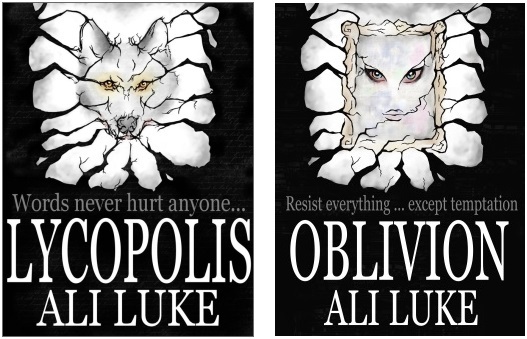 I’m just starting to do this for my novel Lycopolis, with Facebook ads, and I’ll be blogging about it in a few weeks. If you’re not in a position to pay for editing or cover design right now, I’d suggest taking on some paid writing work (which almost certainly means writing non-fiction – e.g. articles, blog posts, sales copy, editing / proof-reading for local businesses). This not only brings in extra cash, it gets you more writing experience and can help you feel confident that you really are good enough. If you’ve got spare time but need money, this is a great way to move forward. Of course, you could decide not to self-publish at all. With a traditional publishing deal, you won’t have to pay for editing, cover design, formatting or distribution – the publisher handles it all. Personally, I like the greater control – and the greater long-term earning potential – for self-publishing, but you may feel differently. I’d love to hear what you’ve paid for – or what you plan to pay for – if you’re self-publishing. Do you have any regrets? Is there anything you’d do differently next time? Share your experiences in the comments below. I have bookmarked, shared, and tweeted this post. Thanks, Ali. Thanks so much for sharing, Annie! And ouch, that’s a pricey cautionary tale. It is so hard to catch every typo (and I’ve read plenty of traditionally published books with typos in, too). One trick I’ve come upon is using a PDF output method like Open Office or any other method that will produce a PDF. Since most self-publishing sites require a PDF anyway, it’s a step you’ll have to do anyway. If I recall correctly, Adobe Reader will “read” your novel to you. It may have been a different program that would read the work aloud, but they do exist. Reading my own words on a screen may have had the pauses and inflections where I wanted them, but hearing it read to me really pointed out the issues. Also when I had a little “Sneaky SPAG”, those pesky words that are easy to make as a type but which are real words that wont redline, the readthrough really helped out (I sometimes switch letters in a word when I’m on a real typing rip, “used” becomes “sued”, etc. It seems like a severely long task but with the version of Reader I used I could alter the speed of the reading. I put it pretty rapid and even then, the mistakes jumped out at me. I merely scanned the word version of the manuscript along with the reading and when I heard a mistake I’d pause the reading and make the necessary change. Ooh, what a great tip, TJ — thanks! 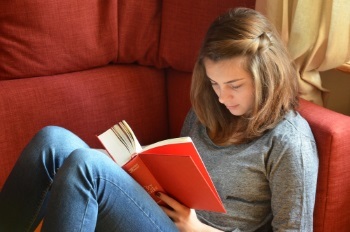 I often convert my manuscript to Kindle format to read it through carefully — hadn’t thought of getting the Kindle or computer to read to me, though! For me, this wouldn’t fully replace an editor (or at least a few beta-readers) but it could be a valuable extra check. I think taking it step by step and gradually adding more things is a sensible approach. I’m just looking into paying for help with rewriting my blurb …! Thanks for sharing. I am taking some valuable notes for my next book from here.